Bald eagles are frequent winter visitors to the Ouachitas. There are rather large populations that take up snowbird residence around the Diamond Lakes of the Hot Springs area, though residents say the eagles have been spotted in Ferndale near well-stocked lakes, notably the C.A. Vines Arkansas 4-H Center. The flash of white in his head and tail feathers caught my eye while sitting at the computer. 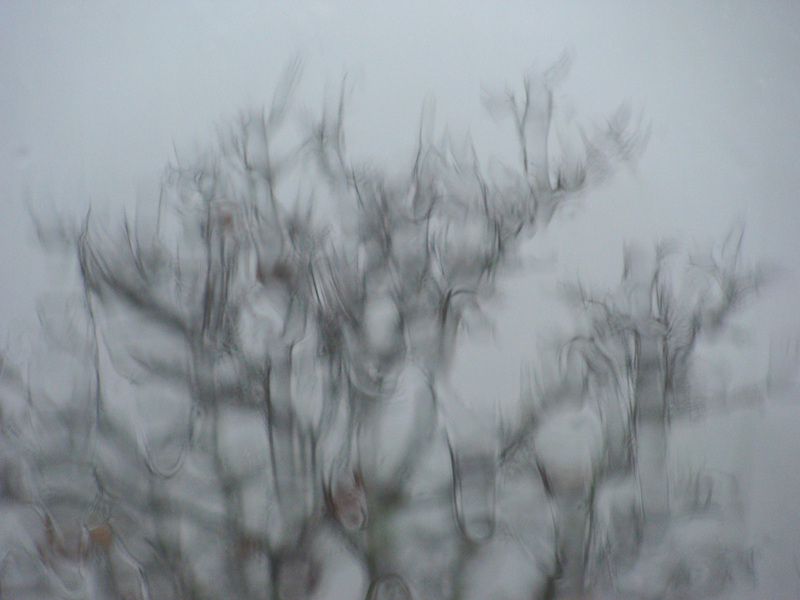 Fortunately, the camera was in reach to capture this long-range image before he flew north and out of sight. 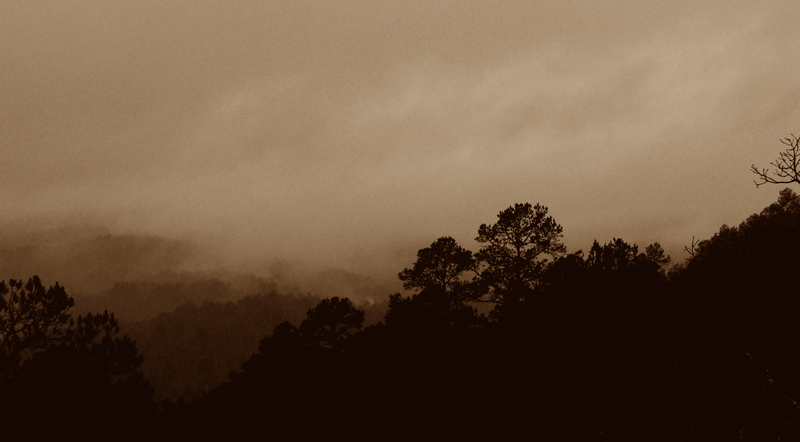 Bald eagle cruises the folds of the wintry Ouachitas. 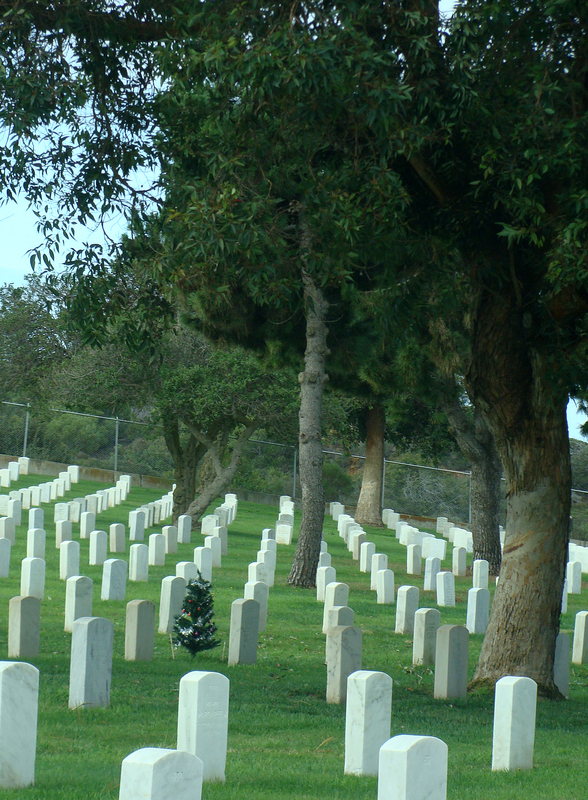 Fort Rosecrans National Cemetery is a beautiful, yet solemn, place that bears the remains of America’s military men and women and their loved ones amid immaculate emerald lawns and white and gray headstones, plaques and walls. The cemetery overlooks North Island and the San Diego skyline from windswept Point Loma and the Cabrillo National Monument. 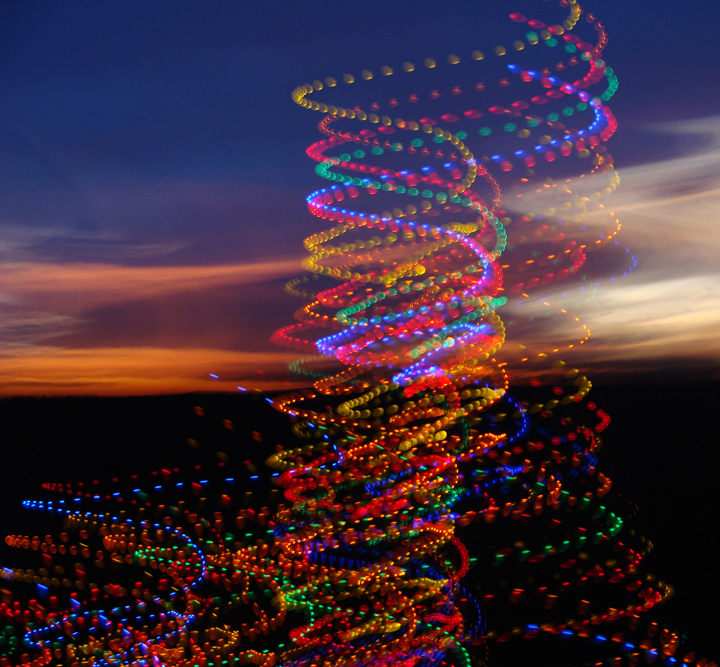 The week before Christmas, the cemetery was filled with wreaths, poinsettia plants and miniature Christmas trees left in tribute to those at rest there. Sadly, Fort Rosecrans is busy. 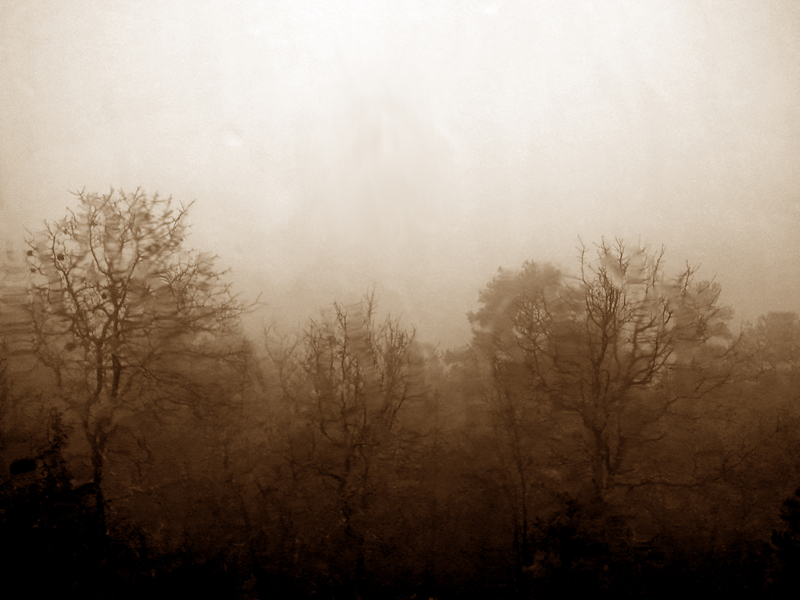 There are funerals every 20 minutes some days. The cemetery is also getting crowded, with a century separating the births of some of the veterans laid to rest there. The earliest stones we saw marked the resting places of Spanish-American War veterans; the newest interments belong to young men and women born in the 1980s. On Dec. 23, families, including ours, gathered at the walls, laying flowers, wreaths, toys and other objects; touching the names of loved ones. They will always be missed. 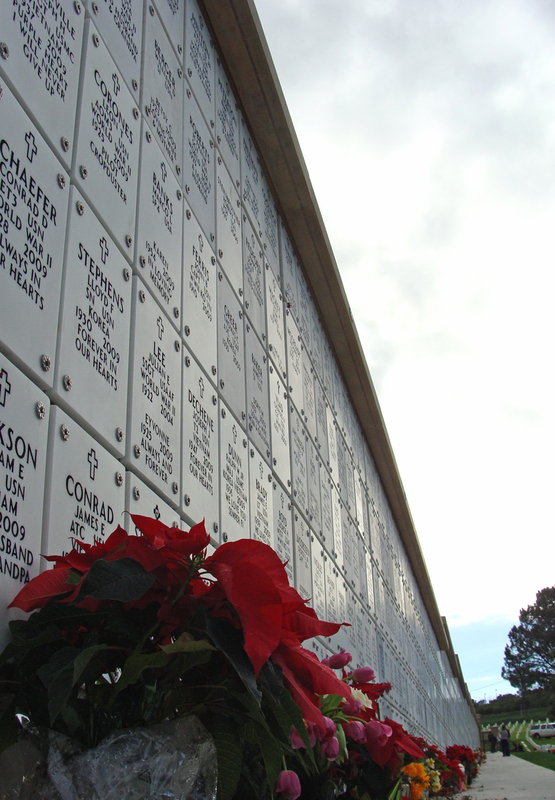 Wreaths grace many of the headstones at Fort Rosecrans. 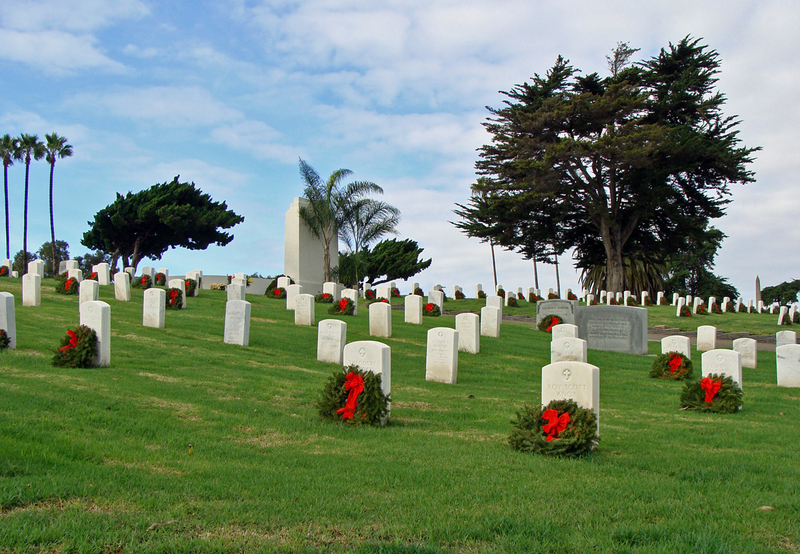 A lone Christmas tree stands among the rows of headstones at Fort Rosecrans National Cemetery. Christmas poinsettias and other flowers left in tribute. Cardinal sits among lichen-covered oak branches and the fading sumac clusters on the crest of a Ouachita mountain. 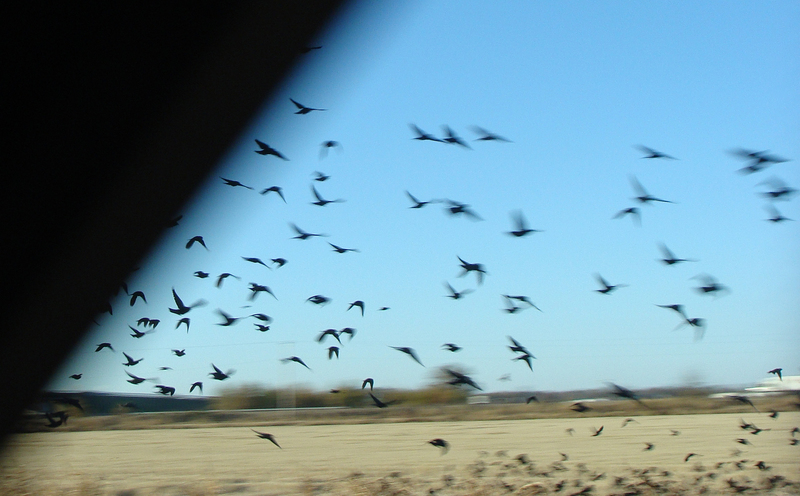 Starlings take flight in the Arkansas Delta as the roadster flies past on U.S. 70. 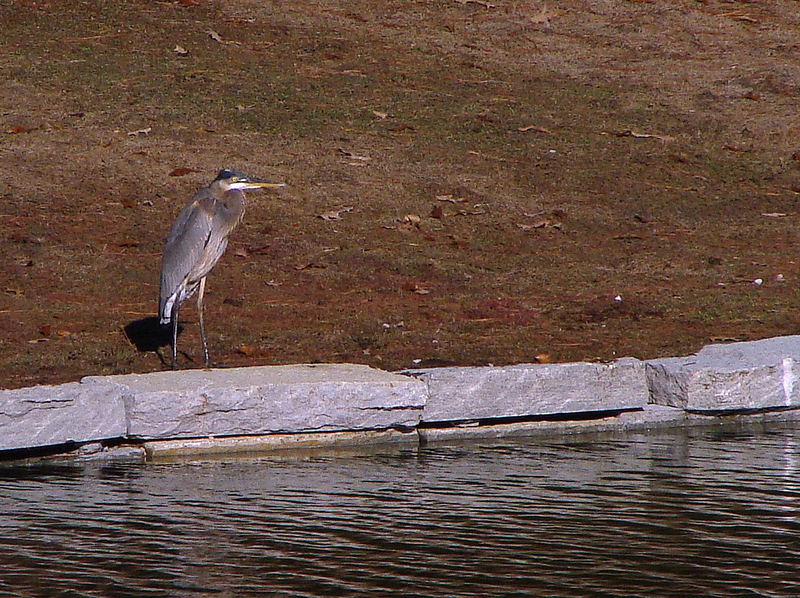 Solitary blue heron awaits lakeside. The Saturday morning hill workout was interrupted by a few photo stops. 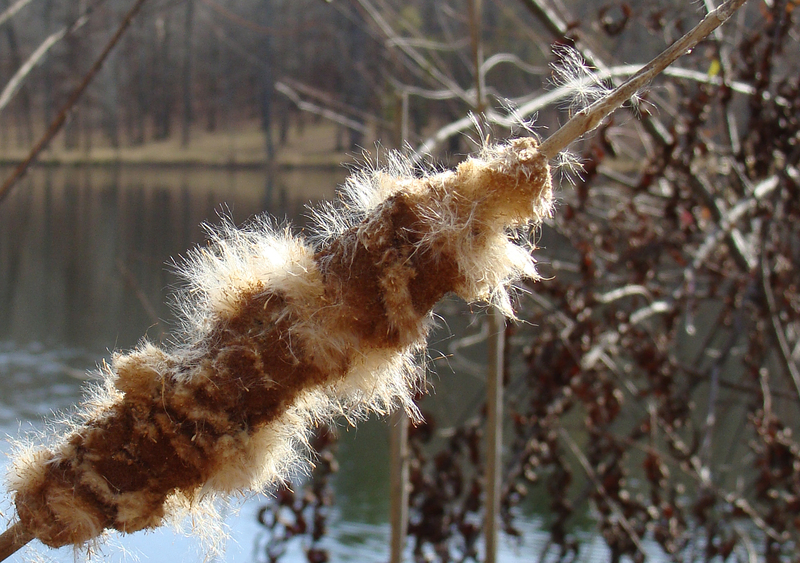 A raggedy cattail is part of the reedy shelter used by visiting ducks. 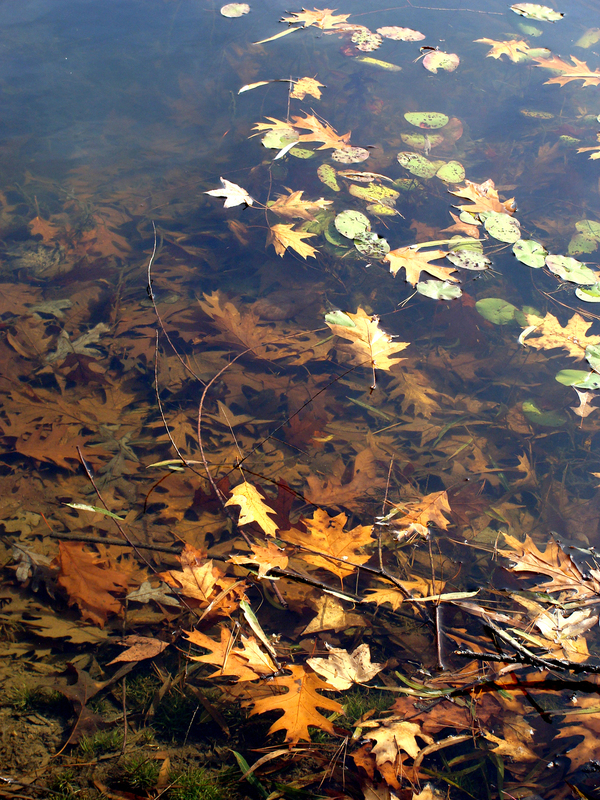 Fallen oak leaves join lily pads as decoration for the pond. 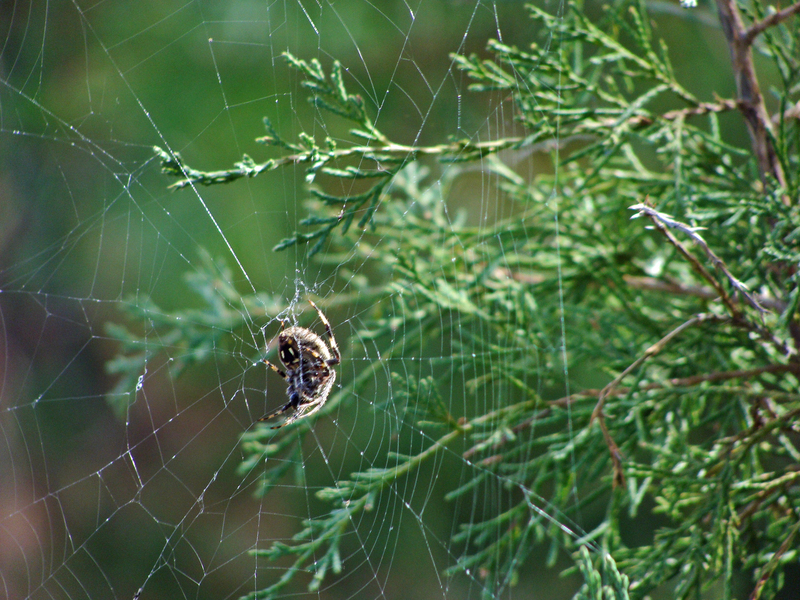 Orb spider minds his web among the cedar branches. 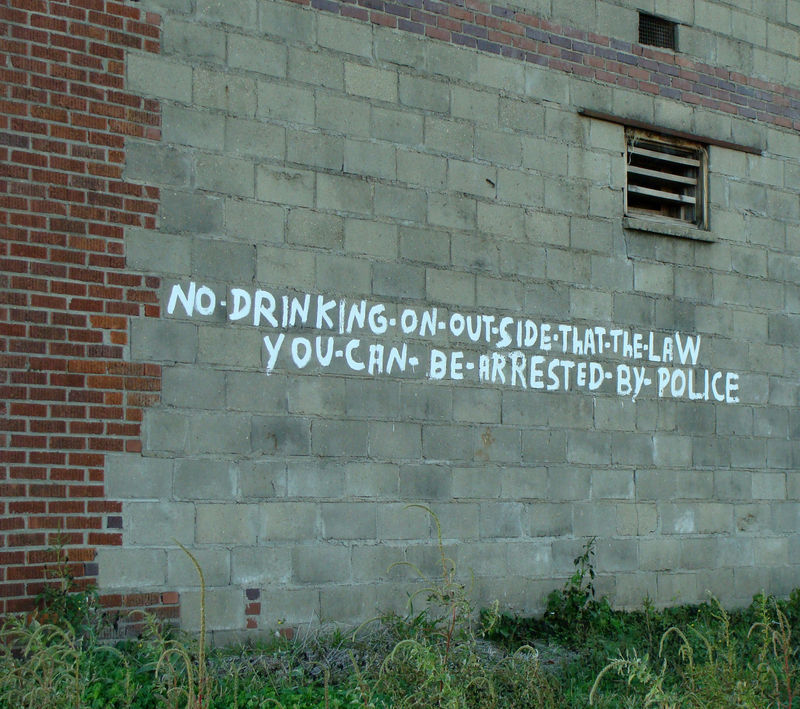 In laying down the law, the sign’s painter seems to have committed sins against grammar. A sign along U.S. 70 in Brinkley, Ark. With the coming of Interstate 40, U.S. 70 takes a back seat to its now busier younger brother. Though it dates back to 1926, U.S. 70 is far from abandoned, cradling main streets through many cities as it winds its way from Arizona to North Carolina. An interesting look at the bridges of U.S. 70 can be found at http://bridgehunter.com/category/road/us-70/. 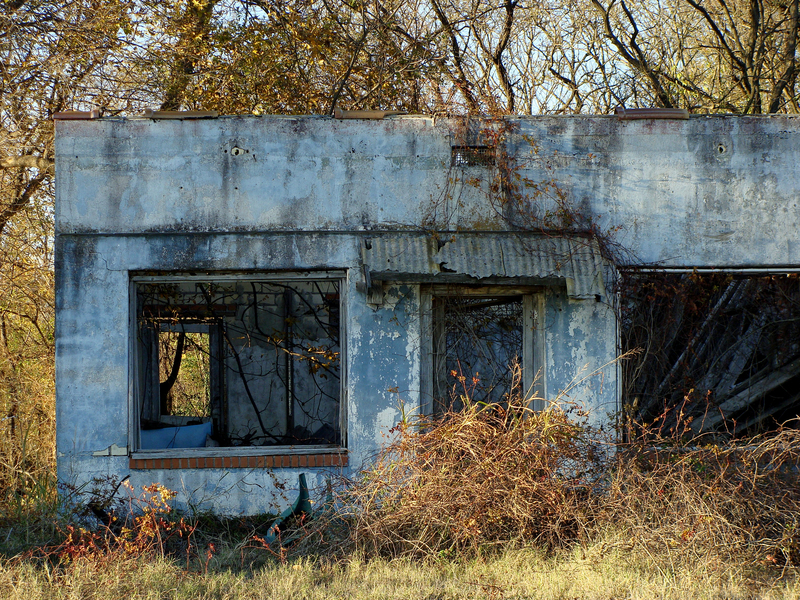 Abandoned building on U.S. 70 near Forrest City, Ark., offers its walls to trees, vines and other wild things. 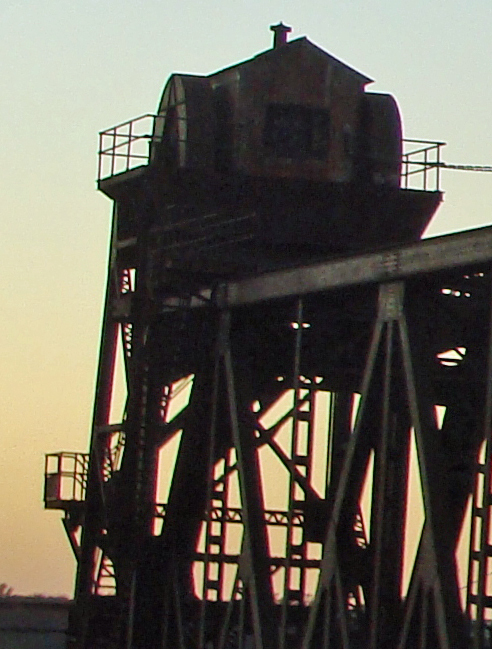 The lift-span trestle bridge at DeValls Bluff is silhouetted in the setting sun. Built in 1924, it was retired in 2004. Traffic now moves over the White River on a sturdy, but plain Jane, concrete span to the south.